into any of the USB ports on your computer. Click on the start menu and go to "run" and then type "cmd" For Windows 8, 8.1 or Win 10 users just go to the start menu by depressing the windows logo key on your keyboard. Then type in "cmd" and then enter. In the command prompt window, just type in "Diskpart" and then press enter on your keyboard. 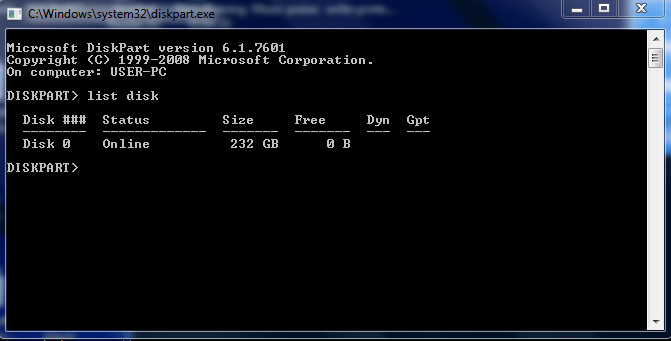 Now, Type in "Select disk" followed by the disk number. That is, the number designated to the USB flash drive you wanna write protect or unwrite protect. If you are not sure weather you entered the correct drive number, you can confirm by checking the drive size listed to the right. Type in these; "attribute disk set readonly"
Your USB flash drive should be write protected now. To confirm, just unplug and plug back the USB into your computer. Now Open the flash drive from my computer and right click on any file. You will notice that there is no delete option in the right-click window. another way to confirm is to try formatting the flash drive which you should get an error message as "The disk is write protected"
Plug back your USB drive. Go through the steps above. Now type in "attribute disk clear readonly" Note; type this after you are done with the above steps up to the "select disk #"
To confirm, unplug and plug in your disk and try deleting some items. This time you will be able to delete files and also format the USB disk as well. Are you trying to earn cash from your visitors via popunder advertisments? If so, have you tried using Pop Cash?